Hey Mama! Yeah you, the one who is trying to research homeschooling options. I know you are weighing the pro’s and con’s and wandering around slightly confused. You may be wondering if you can really do this…? (You can!) You may be wondering if homeschooling is really worth it…? (It is!) Chances are, you are definitely wondering, should I purchase a homeschool curriculum? Or not. I’m not a homeschooling expert by any means, but I’ve put together a few thoughts that I think will help you. Hang in there friend, you’ll get it figured out! You’re first step should be checking with HSLDA – a lot of letters I know. They break down homeschooling laws by state. Find yours and determine whether or not your state has any requirements regarding the specific curriculum you follow. If you’ve already done that – keep reading! I first began researching homeschool when my son was about two. My husband and I had always planned to homeschool our kids, but I had never figured out the how to’s. When I began my quest to master homeschooling my son had already mastered his ABC’s, and about a dozen other early learning tasks. To say he is a faster learner than I am is an understatement. Well he recently turned five and is ready for kindergarten. For me, it was time to face the music. Time to make a decision. Should I purchase curriculum or should I just put together my own? There is a lot to be said for putting together your own curriculum, and I give major credit to the amazing moms who have produced endless and creative (FREE!) homeschooling resources across the internet. I’ve used dozens of these printables and packets to prep my son for early learning. It’s honestly mind-blowing how many talented teachy-moms there are who are smoothing the way for other homeschooling families. 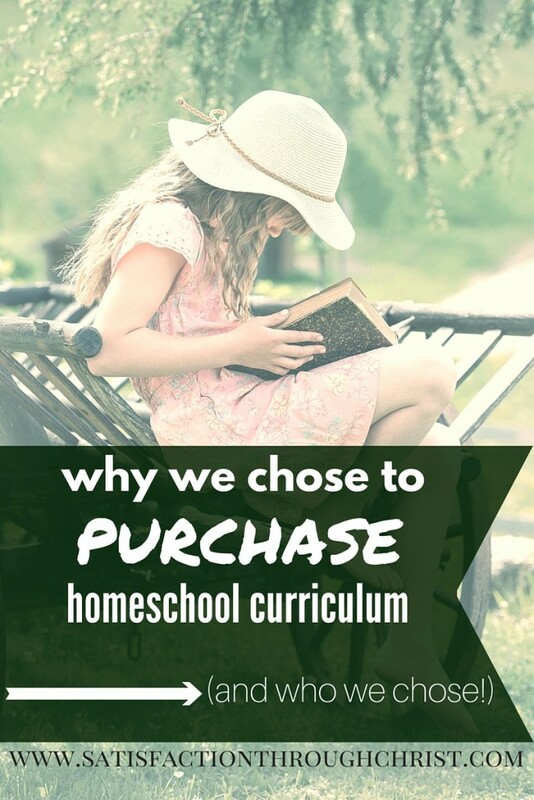 You might be wondering, if I’m so impressed with the plethora of free homeschooling curriculum on the internet, why am I writing about purchasing homeschooling curriculum? Here’s the thing. I am not a teacher. It’s not my calling nor my gifting. I’m not skilled at working with children in the arena of academics. And to be honest, being a teacher is my worst nightmare. I know, that seems like a bold thing to admit to. But I think there are other homeschooling moms who feel the same way. It’s okay friends. You can still successfully homeschool your kids even if you aren’t teacher-of-the-year. Now that the secret is out…. These first two statements should be familiar to anyone who pays attention to their local news. We all hear from time to time about that “homeschooling family whose child had to repeat grades because his parents didn’t have enough proof of the work he had been doing,” or the “child who couldn’t get accepted into college because his homeschooling transcript didn’t meet requirements.” Sometimes these are legitimate investigations. Sometimes the parents really have done a disservice to their children. Other times it’s the state lawyers being spiteful. Either way, a homeschool curriculum with documentation and frequent progress reports will go a long way to clearing up future issues. Finally, standardized testing is still required for homeschooling children in mosts states. That said a homeschool curriculum that includes tests and teaches children how to take tests is vital. All of these reasons just scratch the surface of why my husband and I chose to purchase a homeschooling curriculum, rather than piecing one together. So which homeschool curriculum passed my test? I chose A Beka Book. I’m going to get honest with you again. I didn’t comb over every single homeschooling curriculum company. I read some online accounts of several. I browsed through the offerings of many. But I didn’t lose a lot of sleep over this decision. And here’s why. I’ve seen A Beka Book in action. I’m so blessed that I have my mom – she is a retired kindergarten school teacher! (She has purchased so many educational toys for my kids I sometimes wonder if they could learn everything they need to simply from play time, but I digress.) She has used this curriculum before and after many years of school teaching, has decided that it is the best quality and most well-thought out curriculum. One thing I really love about A Beka Book is that they value education from an early age. For instance you can give A Beka Book a try and get your feet wet in homeschooling at the same time with their Preschool Lesson Plans Book. It’s forty weeks of guided material for just $20 designed for two and three year olds. For someone who doesn’t have a good grip on teaching yet. That’s a great option to get you started. There you have it. Thoughts worth considering if you are teeter-tottering about the homeschooling curriculum decision. Make it a matter of prayer and choose what you are comfortable with. I’m so glad to know that a lot of our readers are in the same decision making journeys I am. Y’all, I’m so grateful for you. 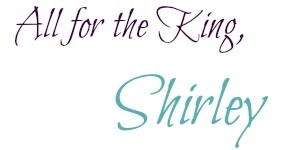 Want to pin with Shirley on Pinterest? Just click on her name to follow her! You’d probably enjoy our homeschooling tips for young kids and our free printables for Bible memory with young kids!